Ecological Reviews publishes books at the cutting edge of modern ecology, providing a forum for volumes that discuss topics that are focal points of current activity and likely long-term importance to the progress of the field. 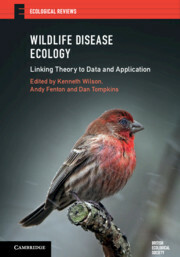 The series is an invaluable source of ideas and inspiration for ecologists at all levels from graduate students to more-established researchers and professionals. The series has been developed jointly by the British Ecological Society and Cambridge University Press and encompasses the Society's Symposia as appropriate.